The Queensferry Crossing, also known as the Forth Replacement Crossing, opened in August 2017 to much fanfare. The bridge, at 1.7 miles (2.7km) long, is the longest three-tower, cable-stayed bridge in the world. TCB Ltd were pleased to support Cleveland Bridge UK with installation training for the M30 TCBs that are widely installed in the under-structure. 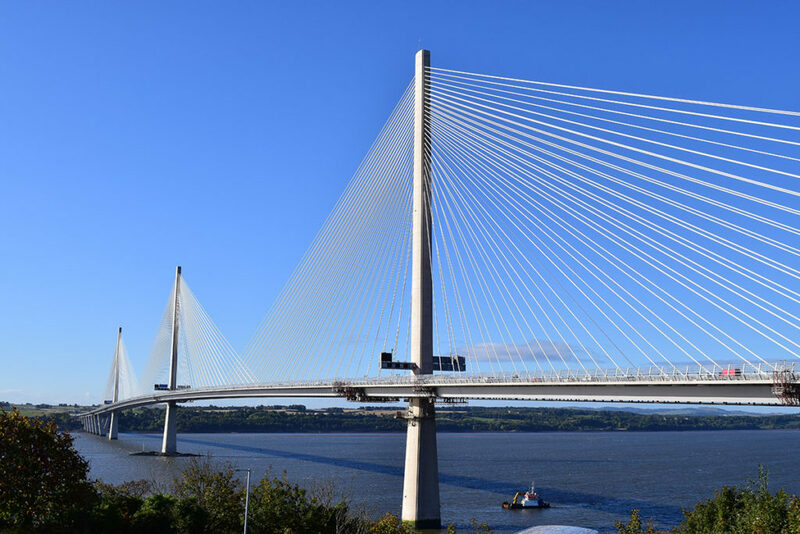 TCB were also pleased to provide technical and engineering support to the Forth Crossing Bridge Constructors consortium, comprised of Hochtief, Dragados, American Bridge International and Morrison Construction. TCBs were also installed retrospectively in the existing Forth Road Bridge for maintenance and strengthening, and there are almost half a million TCBs installed in the Forth Rail Crossing as rivet replacements. Iconic, historic and dynamic, Scotland’s Forth Bridges are a wonder of the modern world. Towering side by side over the Firth of Forth, these structures represent the pinnacle of engineering from three centuries with TCBs integral to their ongoing structural integrity.